October is ADHD Awareness Month. The Centers for Disease Control and Prevention (CDC) say that 9.4% of American children have been diagnosed with ADHD or ADD. That’s nearly 1 in 10. Those percentages vary widely by state and community, but ADHD diagnoses continue to grow. In fact, the diagnosis of Attention Disorders has risen 50% in the past decade. ADHD is one of the fastest growing health concerns facing our children today. But there is good news – the Martial Arts at SDSS can help. At SDSS, we teach in a way that naturally benefits students with attention issues. Studying the Martial Arts is not a “treatment” for ADHD, but we can help. Teachers, doctors, and psychologists are all still learning how to address this disorder in the classroom, but there are several points on which all the experts agree. Here are just a few. The Martial Arts focus on individual growth, not team competition. Kids with learning and attention issues have a tough time competing in many team sports. Baseball, softball, football, basketball, and similar sports require players to pay attention, sometimes for extended periods of time. Often this results in running extra laps, or loss of playing time, or worst of all, failure. 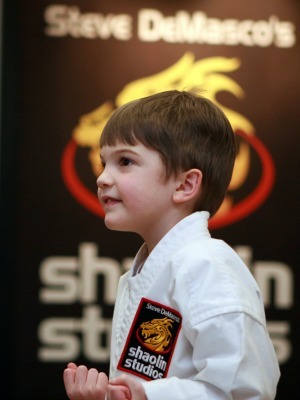 In the martial arts, your child receives one-on-one attention. Each person is on their own journey, learning and growing at their own pace. This is essential for the student with ADHD. Self-discipline is at the core of all martial arts instruction, and this is something that most young people with ADHD desperately need. In the Martial Arts, we teach students by building them up, and we never tear them down. Confucius said, “The teacher opens the door, but the student walks through.” A black belt is a long, arduous journey. We’re there to open that door day after day. Your child will learn to take the right steps on their own because they’re motivated to do so. In our system, the Dragon teaches us Self-Discipline. That means we make the right decisions, whether someone is looking or not. We do the right thing, whether it is easy or not. Every lesson begins and ends by reinforcing the Life Skills that make a Martial Artist. The belt-rank system provides your child with a series of achievable, short-term goals that build tremendous confidence and self-esteem. 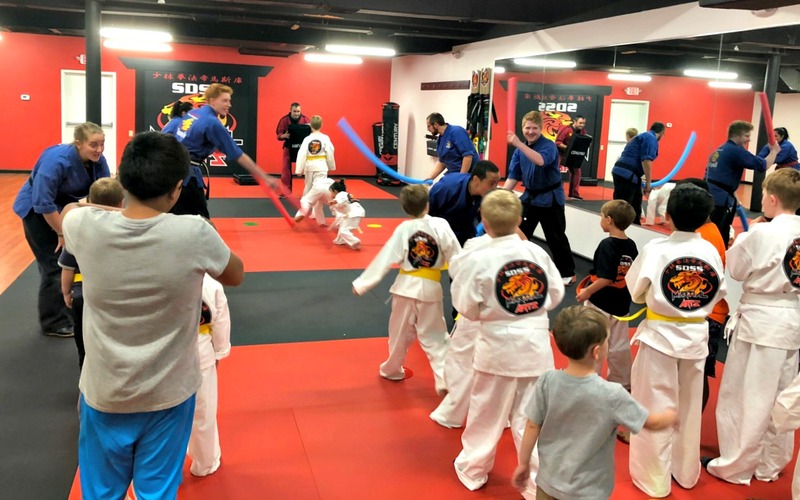 Whether through the individual “power stripes” or belt advancement, your child will have the opportunity to achieve something that can be demonstrated, measured, and celebrated. Belt advancement isn’t a “feel good” goal, nor is it a “reward.” Each new belt is an outward sign that indicates another level of personal growth and development. 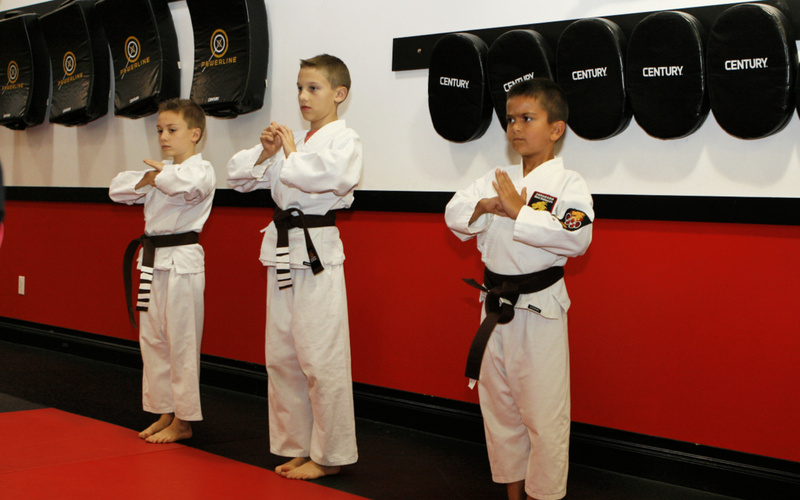 Martial arts students build confidence and self-esteem through observable and measurable achievement. Children with ADHD flourish with specific direction and positive, consistent feedback. Every punch, kick, technique or form represents a specific technique. Your child’s instructor will provide encouragement, and show him or her exactly how to make it to the next level. These mentoring relationships often prove to be some of the most important in a student’s developmental years. ADHD makes it difficult for some students to control their impulses, so the intense, high-energy martial arts instructional setting can help. Students move non-stop from the moment class begins until they bow out of the dojo. This doesn’t leave any room for “down time.” Students go from high-intensity basics to technical development to meditation. Auditory cues, quick pacing, and solid structure provide the ideal learning environment for the student with ADHD. Classes have consistent expectations that empower your child to do the right thing entirely on their own. There are no “bystanders” in a Martial Arts classroom. Every student is directly involved with the learning from start to finish. Students simply don’t have time to lose focus. All that activity comes with an added bonus. In addition to the benefits of physical conditioning, your child will find a way to focus on tasks for longer and longer periods of time. Grandmaster DeMasco promises to deliver the best-trained instructors in the industry. 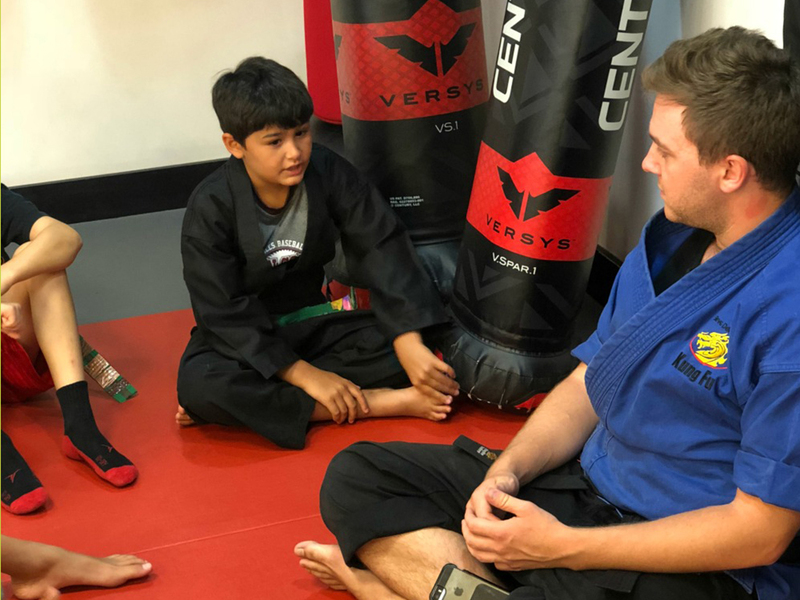 Moreover, he guarantees that “you will leave each and every Shaolin martial arts class with a feeling of accomplishment and renewed self-esteem.” For over 20 years we’ve seen hundreds of students with ADD and ADHD learn the life skills to do better in school and in life. We’d like the opportunity to do the same for you and your child.